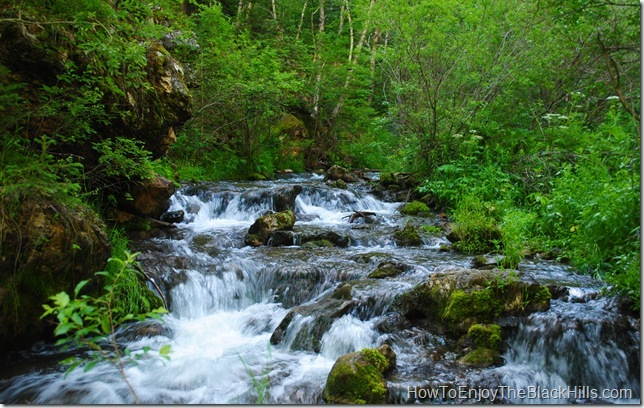 Where do you go hiking in Spearfish Canyon? Almost anywhere. Much of the Canyon is public land – part of the Black Hills National Forest. Just watch for the occasional no trespassing sign. Iron Creek is a great hike that is easy to find. 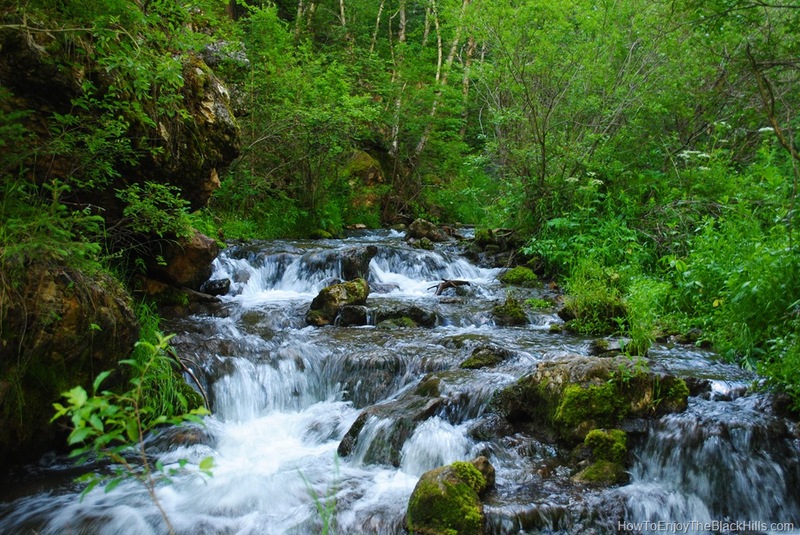 Once you turn off Colorado Blvd in Spearfish onto the Spearfish Canyon Scenic Byway, it is 11.4 miles to the parking lot. There will be an Iron Creek sign right before the bridge, park in the gravel parking lot on the west side of the road. Snowshoeing along Iron Creek is a popular wintertime outdoor activity, however it is also a great hike or mountain bike ride. If you follow the trail for about 3 miles you will end up at Iron Creek Lake. This is a perfect hike for any ability level. The grade is gentle and it is beautiful from the start. In the early summer it is loaded with wild flowers and butterflies. The limestone walls are amazing all year long. This is one of those hikes that you should enjoy a few times a year, because it changes with the seasons. Iron Creek and many other trails in the Black Hill’s Spearfish Canyon are well marked on Black Hills – Northeast, South Dakota Trails Illustrated Map #751 . It is always a good idea to have a map along in the Black Hills. Don’t forget plenty of water and snacks.